Brandon Cox, Lead Pastor of Grace Hills Church in northwest Arkansas and editor for Rick Warren’s Pastor’s Toolbox, put out a blog last year about “How to Build Rhythm Into Your Church”. I read it twice when it first came out. Then I printed it. I have read it over and over since then. I have gone to it at the begi nning of every planning season: January for Summer, April for Fall, August for January. The article speaks to the whole church, but it can relate specifically to finding a rhythm in Children’s Ministry. When I was hired full time, it was much easier to just throw myself into all that we could offer: typical Sunday and midweek programming and special events just about every month, sometimes every other week. Trying new things happened often. But hired part-time requires a rhythm. When church leadership sets a position as Sunday only, 1/4 time, 1/3 time, or 3/4 time, there are some expectations they have determined. One expectation being that this person can not do everything the larger church down the street can do. Setting priorities offers a realistic rhythm. Pastor Cox remarks that “balance is an elusive target” because balance is based on a subject ive perspective: whoever you are asking. But a rhythm, being measurable, is much more manageable when the goal is healthy Children’s Ministry. If we use the five purposes/goals of healthy Children’s Ministry, worship-growth-belonging-service-share/testimony, and the entire calendar year as the canvas, finding a rhythm works to develop a filter. He first suggests focusing on 5-6 peak moments in the year. That’s for a full-time KidMin Director. We know that for excellent regular programming, it takes an average of 2.5 hours for every 1 hour of programming. Any special event or peak moment requires a whole lot more. Think VBS: 4-5 months+whole lot of lay servants+$$=10 – 15 hours of programming. That may explain why so many churches are stepping away from offering a week of VBS and looking for more bang for their buck. Perhaps offering a summer VBS program over a summer of Sundays and promoting the daylights out of it. Even part time (half-time = 20 hour) KidMin Directors can effectively and realistically take on weekly Sunday am, Sunday pm OR Wednesday/Midweek pm, and 4-5 peak moments through the year, if you include Christmas and Easter. Then you are working on 1 peak moment quarterly and that is much more manageable. Each year our Children’s Council writes on individual index cards everything involving ministry with children over the course of the year. 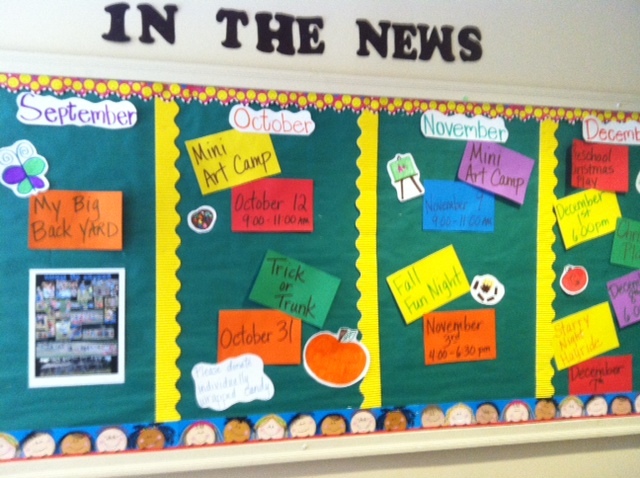 All traditions and even new things: Trunk-or-Treat, Sunday School, CLUB345, Children’s Christmas program, etc. As a team, they then determine what 4 items are the most important: asking, “If we did nothing but these 4 things next year, what would they be?” Once we haggle…er, decide which 4 (which takes a bit of time), we then choose 2 more (which takes no time, because the discussions have already taken place.) As a Council, we have now chosen what we will throw ourselves into. Where and when will we be ‘all in’, for the next year. Of course, other special events take place over the course of the year, but there must be two champions for those special events where I can serve as the resource, cheerleader, and/or promoter for those things. But me ‘taking the point’ on them has now been decided by the Children’s Council to not be a priority for me this next year. So where will you throw your resources, your servants, your finances, your space, your over-the-top-best? A pastor called me recently asking my thoughts on what their new Children’s Ministry Director should do to get started. After 30 minutes on the line, he shared with me that he was in the car and could I send him everything I’d just said by email. Ha! My response, “Absolutely, but not today.” I was in the middle of our 3rd day of Ultimate Camp, setting rosters for the next Sunday, finalizing the new school year calendar of events, lunch was on my desk, and two amazing high school girls were stuffing parent packets within 3 feet of me. Get Immediate Expectations – Pastor, please meet with your new CMD and inform them clearly, preferably in writing, of what you want to see within the next 90 days. Two questions I’ve always asked the senior pastor/my supervisor were, “What looks like success to YOU?”, and “Tell me about the best CMD you ever knew.” This is the starting standard. Get the church rhythm – Pastor, please give your new CMD an idea of what the church calendar will look like over the next year, even an overview, so that if a Christmas Eve play or Mother’s Day special music is expected, your new CMD doesn’t hear about it two week’s prior by a passing church leader in the hallway. OR peruse the bulletins over the last year after you give the church secretary/admin a Diet coke over crushed ice. Get covered in Prayer – SPRC, please set up a weekly prayer team of 2 or 3 (Matthew 18:20) for your new CMD’s first 6 months. This dedicated prayer covers a multitude of misunderstandings and invites a great deal of favor. Get Connected – Require your new CMD to get connected with other kidmin champions in the area. Each North Georgia UMC Conference District has a networking group and the contact people can be found here. The research claims the average ‘life span’ of a new director of children’s ministry is 18 months…unless connected with others outside their own house/church. This is an investment into the long-term. 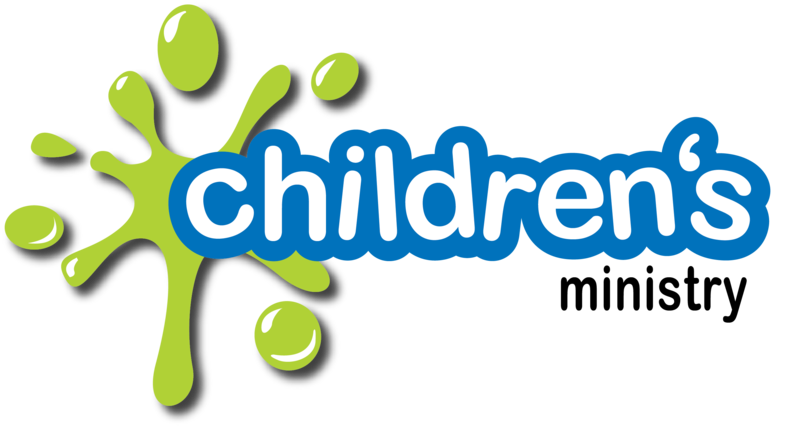 Get the Resources – Share the closed Children’s Ministry Facebook groups in the area that are available to safely and confidently ask questions, share resources, and know what trainings are happening near and far. Get the book – Sustainable Children’s Ministry: From Last-minute Scrambling to Long-term Solutions by Mark DeVries and Annette Safstrom. It’s all about setting up the systems that build a healthy ministry and a healthy ministry leader. This is a go-to book for every new and old CMD. Get a coach – Even Olympians need a coach for encouragement, focus, direction, and a partner in ministry outside their own house/church. A person to talk with the new CMD one-on-one about insights, discuss the book above, etc. In the North Georgia Conference of the United Methodist Church, we have an amazing coach in Rev. Debby Fox. She’s a great connector and can offer names and contacts of other CMDs all over North Georgia with varying expertise and experiences. Denominational theology – The pastor asked if I thought taking a class or two at seminary would help this new CMD in understanding Methodist theology. I don’t know about that. What I do know is that any new CMD is on the fast-track, because Sunday comes every week. I’ve discovered a jewel in the first seven podcasts of Small Groups in the Wesleyan Way presented by Discipleship Ministries. Rev. Scott Hughes and Rev. Steve Manskar do an excellent job of giving vocabulary, history, and a theological basis for the United Methodist Church and the Wesleyan way of approaching ministry. I never miss an episode. Yes, this seems like a lot, but Sunday’s coming. These are all goals that can be accomplished within the first 90-120 days of employment. These are just my thoughts. What are yours? Share the bigger vision-when you ask for help, share the big picture of where you’re wanting to go. For the last 90 days I’ve been sharing how we need to split children’s church due to our growth in numbers, so I began asking for prayer for leaders to take on Well-Versed Kids for our 3rd-5th graders. There are now 5 on that team and we are ready to begin next week! Embrace fun-offer an environment where there is a spirit of joy and resilience, not negativity and a critical spirit of what you’re missing, lacking, coveting… You get the picture. Build trust with key leaders-there are folks in every congregation who have the trust and ear of the rest of the congregation. Find those folks and talk about what’s happening ALL THE TIME. Be patient-Did you know it took 10 years for Chick-Fil-A to be the fast food restaurant that finishes every customer transaction with ‘My pleasure’? TEN YEARS! “Give yourself the grace to let change happen at the Spirit’s pace, not your own.” This is when a kidmin networking group can help. They will help you maintain the momentum when you are in the valley and feeling like nothing’s happening the way you’d hope for. The scriptures and my monthly networking group has been my lifeline. 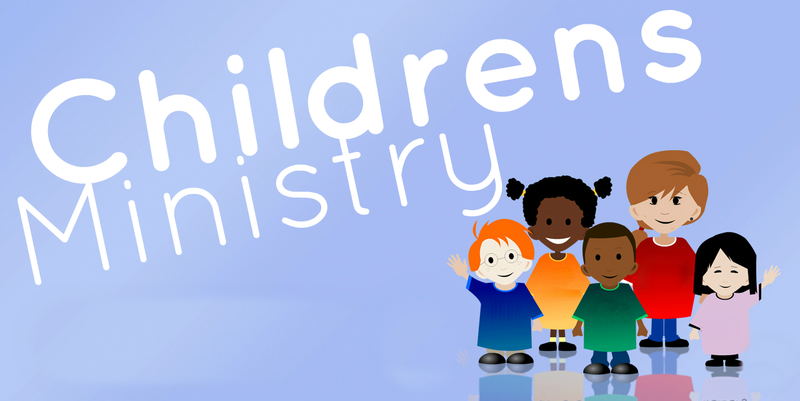 Chapter 11: Children’s Ministry is Family Ministry Parents are already partners with us in the faith formation of their children, and so there are few things more important to our children’s ministries than building relationships with parents. I know Sunday mornings are not the ideal time for you to have serious relationship-building time with parents. But your presence and availability to them during that time is key. 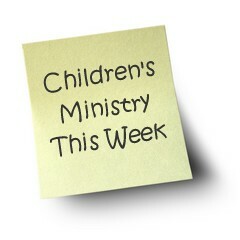 If you are scrambling around looking for cotton balls, trying to get technology working, or teaching one of the kid’s classes yourself, you may miss your most important opportunity of the week-connecting with the people who have the most spiritual influence on the kids in your program. Make a plan of contacting a certain number of families each week, then contact them. If you’re not a people person or an introvert with exceptional people skills, this can be a matter of prayer. But it’s got to happen to grow and have a sustainable ministry. Jesus was all about relationships, old and new. Met or invested in anyone new lately? Chapter 12: More Than Planning is where Annette shares a few hard-won tricks of the trade for managing the urgent while preparing for the future. Whether you’re struggling like I was or you’re an organizational savant, these tips might help you get enough altitude to tend to the things that matter most. Chapter 13: Your Ministry Marathon ‘Injury prevention and warning signs that you may be one of the walking wounded…prevention…and recovery.’ Find a rhythmic week in ministry with ‘on’ time, ‘flex’ time, and ‘sabbath’ time. What can typically happen on which day of the week, write it out, then guard it with your life. It is your life! Bishop Sue Haupert-Johnson of the North Georgia UMC Conference speaks often of guarding and celebrating a weekly Sabbath. As church staff, our Sabbath is different, but critical. Figure it out, then guard it. The way I guard it is to talk about it. “Fridays are my Sabbath.” It’s that easy, because people who care for you will also help you guard it. Here are a few thoughts of when and how do we staff members worship. Chapter 14: Finding Your Bounce Weebles wobble but they don’t fall down. Well, they do fall down, they just don’t stay down. If we are the team with many ideas, then we get the ‘chance to fail often and quickly.’ So how do we get out of the pit? If you pay the tuition, learn the lesson. Debriefing is the last thing you want to do, but when it offers solutions, isn’t that what we’re looking for? Then, develop/build a community of support for yourself with mentors, your supervisor, and coaches. Hey, even Olympians need coaches and so do you! God’s called you. Your organization has hired you. Parents are relying on you. Kids are depending on you. I believe in you. What are you doing today to set yourself up for the long haul? Ever gotten your hands on a book with so many possibilities it got hold of your heart? Well, that’s exactly what happened the first time I laid eyes on Glenys Nellist’s new book ’Twas The Evening of Christmas. Glenys Nellist, an English gal engaged in fabulous ministry with children in Michigan, is a grandmother, a mom to four young men, and Coordinator of Children’s Ministry for the West Michigan Conference of the United Methodist Church. Glenys has written several children’s books based on scripture. Her books fill my shelves because her words in rhyme make the Bible sing. A poem published anonymously in 1823 as A Visit From St. Nicholas, is affectionately known by it’s first line, ‘Twas the Night Before Christmas. In 1837, Clement Clarke Moore claimed ownership. Glenys wrote the birth story of Jesus with this cadence and rhythm. She has a true gift of poetry, especially using child-friendly phrases that children (and I) love. I got my hands on this book in October, just as I was planning the Kids and Candles Christmas Eve service. The very next day I was joining a team of long-time children’s ministry folk and the book made its way around the table in no time. Since then, several of us have collaborated on the many ways we’ve incorporated it into our advent events and Christmas Eve. Glenys shared 3 of her top ideas to use ‘Twas The Evening of Christmas in the classroom is 1) Students act out the story as a narrator reads, 2) Read aloud in a service with images shown on the big screen (permission can be obtained from Zonderkidz), and 3) Make it interactive by reading each stanza, but omit the last word and have kids fill in the missing rhyme. We are doing #2 with a spontaneous nativity as children come forward with various headpieces as shepherds, angels, stable animals on Christmas Eve. I shared the story at our Preschool last week as the Mystery Reader with idea #3. The children LOVED it! Elena Selivanova has illustrated this book with great beauty and uncluttered images. The focus is on the baby and isn’t that the way it should be? I especially loved the way Elena depicts Mary always looking at Baby Jesus and the eyes of the shepherds as the angels come to bring the good news of His birth. I’ve already ordered several copies TWICE, and am giving them as gifts this season. What’s next? Glenys will be adding to her Love Letter series with Easter Love Letters From God to be published January 30th. Just in time for Lent! This latest book in the Love Letter series has seven stories with seven lift-the-flap love letters from God, beginning with the ride into Jerusalem and ending with the resurrection. I’m thrilled to share as part of this blog post, Zondervan is providing a free book giveaway of ‘Twas the Evening of Christmas! Comment below with your favorite part of the Christmas story and you’ll be entered to win. The winner will be announced next week! (This giveaway is open to residents of the USA only, who have a physical street address…no PO boxes). What’s your Bible story? It’s a question I ask often when I speak to Christian educators or lead a Ladies Retreat. It’s a beautiful thing to watch someone’s countenance change from ‘here’ to ‘then’ as he or she tells the story of their Bible. It’s a stroll down their spiritual memory lane. Listening to the ‘who’, the ‘where’, the ‘when’ and your heart can jump straight into your throat. Just a couple of weeks ago, I broke down and bought a new bible. I wrestled with letting go of the current one, but when chunks of Genesis rested in 2 Kings, and pages from Matthew are folded into the creases of Mark, it had to be done. In 1968, I was 7 years old and my world was round. My parents gave me a Bible that fit perfectly under my arm as I rushed to Sunday School. It was a red-letter King James Bible with a zipper closure. This was my Starter Bible. Every name was marked and spaced phonetically so even this first-born-overachiever wouldn’t stumble if she read aloud the story of Melchizedec. In those days we could earn star stickers on a huge chart for memorizing Bible verses. So all the SHORT bible verses are underlined throughout. Think: “Jesus wept.” This little, black Bible is all that I have of my childhood. As a junior in high school, our home burned down. To the ground. Everything was lost. Everything except our Corning Ware dishes and our Bibles. In every one of my siblings’ bedrooms and my own, the only things rescued…the only things recovered…the only items with no ash…were each of our Bibles. I can still turn the pages at times and the smells of that day return. In 1991, after resigning from serving as the Assistant Vice President of Investments at a bank in south Louisiana, I found myself standing on the stage of our local church being introduced as the new Kindergarten teacher and Teaching Supervisor at Comite Christian Academy celebrating with God for providing a way that I could earn a living and do more than just feed and clothe my kids at night. As I was being introduced, I prayed, “Lord! It doesn’t get any better than this. I am so excited about what you are going to do in our lives.” When Bob called home that night, he shared we’d been transferred to Connecticut. The memory is so vivid even today. We moved to New England in November. I couldn’t find red beans, Rotel tomatoes, Duke’s mayonnaise, nor grits. No one spoke like me. My neighbors were polite, but hardly friendly. It snowed our second day and didn’t melt until the following April. I’d never been so cold in all my life. I was lost, and lonely. Bob and the kids gave to me a hardback, red-letter New International Version Life Application Bible for my 31st birthday. This is my Young Mom & Wife Bible. The black print was God’s history with His people. If the print was red, “Jesus said.” And if the print was blue, it was God’s history with me. There is a lot of blue print. Marked up especially around Proverbs 31, 23rd Psalm, Ephesians and everywhere else a young mom and wife would go for comfort, help, encouragement, joy, and vocabulary of love and purpose. On the inside cover is a picture of #1 Son and Baby Girl just after they were baptized. By 2001, we had been moved by Bob’s company to the Atlanta area. Our kids were in upper elementary school. We bought a home, and began serving in a church just around the corner. We’d both gone on our Emmaus Walks the year before and Bible study was part of the rhythm of our lives. I was teaching weekday preschool, beginning to present trainings and workshops all over North Georgia. My hardback Bible was in pieces and I eagerly saved my coupons and picked up a thumb-indexed, red-letter, NIV, Life Application Bible from the local Christian bookstore. One of my students gave to me a Bible cover that I still use to this day reminding me of my calling and the huge responsibility to consider myself a teacher. This is my Warrior’s Bible. There is more written in blue ink here than any other. My faith files are clear with post it notes and added material to help me bring God’s story to life for me and mine and others. This is the Bible I soaked in tears as the Lord and I fought through spiritual warfare, when He resurrected dead places in my heart and taught me to forgive. We endured seasons of sifting and wrestling, I claimed my call, I prayed, I taught, I fought, I hid, empty nested, and our children chose their partners for life. Baby Girl tells me this new Bible is my New Beginnings Bible. Only time will tell of the season to come. A red-letter, NIV (1984), Life Application Bible because it’s the Bible that is the same translation as our student Bibles at our church. It’s hard enough to learn God’s vocabulary when the congruency is off in teaching. My Warrior’s Bible was filled with years of Bible study teachings from a whole host of teachers, commentators, and personal experiences. It is so familiar. I can picture certain scriptures on the left top corner, or ‘in the middle of the page somewhere in John.’ As much as I miss turning the page to find familiarity, I am touched by a fresh word impressed upon me from a clean page with only His words and not my own. At least for now. When I turn the page I can be sure that Genesis is in the beginning and Revelation ends in the back of the book with “Amen.” And that’s a good thing. What’s your Bible Story? Do your students know your Bible Story? When’s the last time you shared your Bible Story?